We like small cars, not only because they're fuel efficient but because they're usually more fun and engaging to drive than larger ones. But this being winter in the Northeast, we also need an all-wheel-drive vehicle on weekends, when we head up into the mountains. And that severely limits the number of small cars we can consider. So we were delighted to get an all-wheel-drive 2011 Nissan Juke five-door hatchback to test this weekend. Here's your chance: What questions do you have about Nissan's little AWD entry? 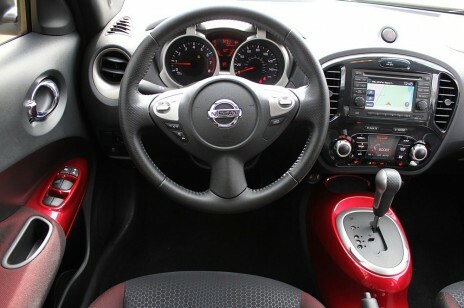 The 2011 Juke is build on the platform of the subcompact Versa, but with entirely different--and pretty edgy--styling. You either love or hate the very large round lights in the front, above which are streamlined lenses that sit proud of the hood line and recall the sculpted blade headlights of the 2011 Nissan Leaf electric car. The window sticker calls our Juke "The Bold Urban Sport Cross," and its official title is the 2011 Juke SV AWD CVT. To translate the alphabet soup: "SV" is the trim level, "AWD" means all-wheel-drive, and "CVT" refers to the continuously variable transmission. With a base price for this model of $22,260 for this model, three options plus destination pushed it up to $24,260. The carpeted floor mats and cargo mat ran $170, the (utterly unnecessary) illuminated kick plates cost $280, and the navigation package--including XM live traffic, an upgraded six-speaker stereo system plus Rckford Fosgate 8-inch subwoofer and amp, and a USP port--added $800 more. Destination was $750. One of the few comparable cars we can think of in the all-wheel-drive subcompact class is the 2011 Suzuki SX4, although that vehicle is now fairly old--and was never particularly refined to begin with. There's snow forecast for our trip tomorrow, so we'll see how well the little AWD Juke handles the mountains. 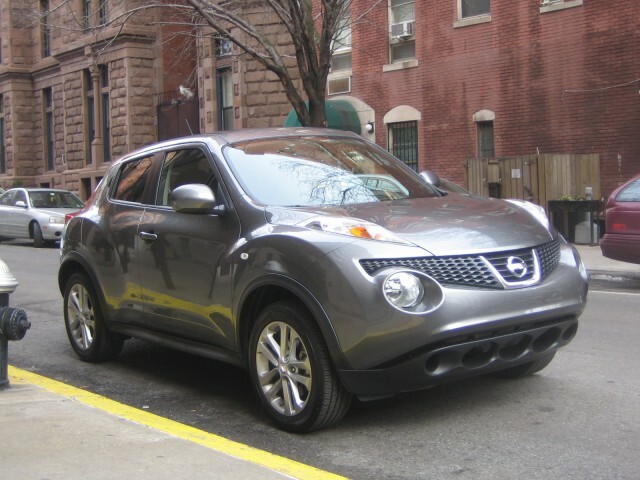 Meanwhile, what do YOU want to know about the 2011 Nissan Juke? Leave us your thought in the Comments below.